Subjective time dilatation posits that music can create its own sense of experiencing time, which is to say that what you’re listening to warps how much time flies when you’re listening to it. Or so you feel. When you listen to “Gladly,” the first single from Tirzah’s debut full-length, forever just flies by. Anchored by a single woozy chord and paper-thin drums, her voice hushes in like Etta James singing to herself at the back of a club. 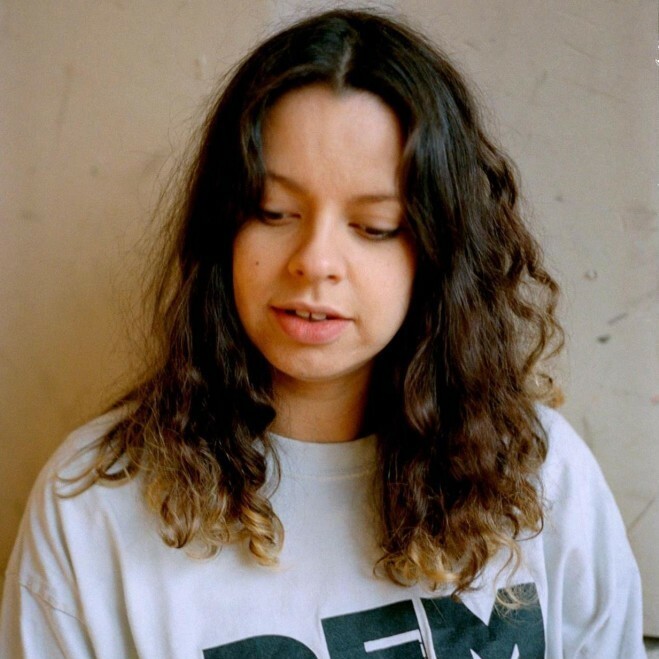 Tirzah’s voice, which enters the mix in small, percussive blips, carries itself with a sincerity that feels rugged and earned. A long-time friend and collaborator of Mica Levi, the classically-trained UK art school scenester who records as Micachu, Tirzah made her debut in 2013 when Levi introduced at her Boiler Room set with “I’m Not Dancing,” a sparse anti-dance blast that was later released on Greco-Roman, the label run by Joe Goddard of Hot Chip that was the first to sign big tent names like Disclosure and T.E.E.D.. Further plaudits from the old guard followed when Four Tet spun “Make It Up” on his BBC Radio 1 set and soon the A&Rs came calling. Devotion, her first record on indie heavyweight Domino and produced by Levi, will be out this August. “Gladly” also announces a change in approach for Tirzah, whose provocative work on Greco-Roman often centered on emotional disaffection (“You only ever loved me when you wanted some fun / I’m laughing now,” she chants on “Make It Up”). “Gladly” is a love song outright; thematically, it brings to mind the Hot Chip of One Life Stand. In the song, her arms open to embrace a love so total that it threatens to overwhelm Levi’s lo-fi tools and us but that precariousness, wobbly, only draws our attention further. It’s a love that demands the entirely of our time, be it three minutes, one night or forever. Devotion will be out on Domino on August 10th.